To ensure continued protection of wild tigers in the country, the Royal Government of Bhutan is handing over tigers and their monitoring to the respective parks and territorial divisions. For Instance, 14 out of the estimated 103 tigers that thrive in Bhutan’s pristine forests were found in Royal Manas National Park (RMNP) and therefore, the department of forests and parks services recently handed over these 14 tigers to the management of RMNP. Similarly, six individual tigers and five cubs in Paro division area were also handed over to the management of Paro Territorial Division. “This initiative is aimed towards promoting a sense of ownership and responsibility towards tiger conservation by the respective field offices through constant monitoring of the individual tigers, its prey and habitat,” said the Director of Department of Forests and Parks Services, Phento Tshering, in an Executive Order. Over two years, more than 1,000 camera traps were set across Bhutan to monitor wild tigers and their habitats. 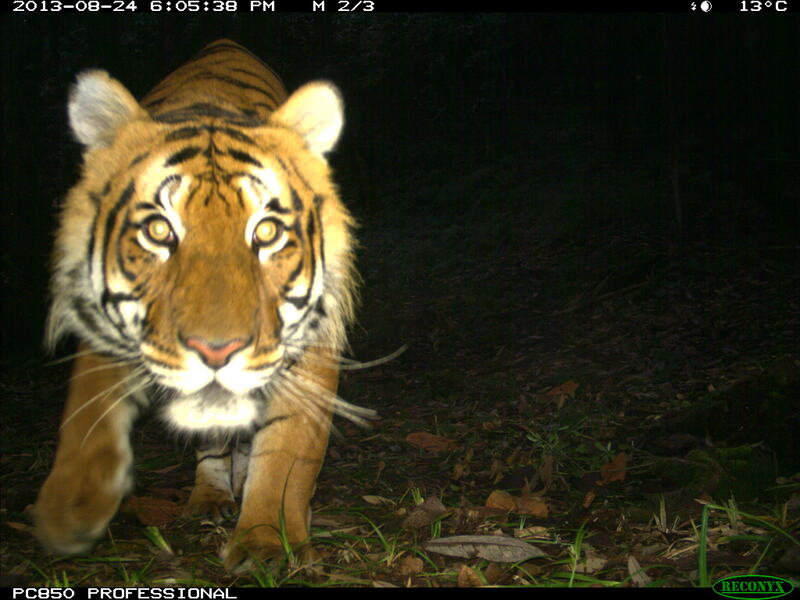 The results in 2015 found an estimated 103 tigers including some that roam as high as 4,000 m above sea level. Conservation Director of WWF-Bhutan, Vijay Moktan, said that this is a great initiative and the Royal government must be applauded for dedicating additional resources to such an important issue that can directly contribute to the global Tx2 goal. “It is wonderful that we can now work with more custodians of tigers in the country than before with the shared mission of saving this critically endangered animal,” he said.